Born on 25 jan 1945 in India in Rohtak -Haryana. My Father Late Ami Lal Kirar was Freedom Fighter and Mother Late Sukh devi. Dharam pal kirar post graduated from Punjab University -Chandigarh, I was the only Senior A grade Govt. Officer in India of Dhanak-Dhanaka-Dhanuk Community at the time i joined. But I resigned my Commissioner (a senior officer post) for the upliftment of the poor and suppressed class people of his own community and for others.. Currently I am working for the upliftment of the Schedule Castes-Scedule tribes and other suppressed class communities in India, who are living below the poverty line. I am National President of All India Dhanak Organisation a National Registered Organisation. 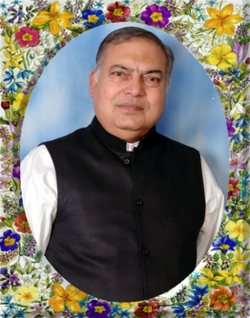 and National President of All India Sab Jan Samiti, Advisor- Global Society Protection of Human Rights. Chief Patron-Pichhda Varg Sangh Rajasthan, Chief Patron Brar Banskar Sangh Madhya Padesh, Patron- Rohini Dharmik Ramlila Committee. i studied Law, and International Relation. Ancient cultural history of India. I was Best Orator in English in 1965 in India. I remained Commissioner Taxes(appeals) 7 years. Held Several big Rallies for upliftemnt of Poor people in Delhi, Madhya Pardesh, U.P. Rajasthan, Haryana, Bihar, Gujrat and Maharashtra. Brothers went Jail for Support of congress party Many times. I visites U.S.A, Russia, Germany, Holland, U.A.E, Australia, Singapore, China, Japan, Belgium, U.k. Yemen to know their system for poor people.